As the Starks from Game of Thrones like to say… “Winter is coming.” If you live in a place like California or Florida, you may still be able to ride in the winter if you don’t mind dealing with the occasional rainstorm. For most of us that live in a place with all four seasons, winter means ice and snow. That is no fun to ride in! If you just park your bike and let it sit for 6 months, you may try and start it in the spring and encounter a lot of problems. Chances are the motorcycle won’t start at all, and if it does it won’t run very well. 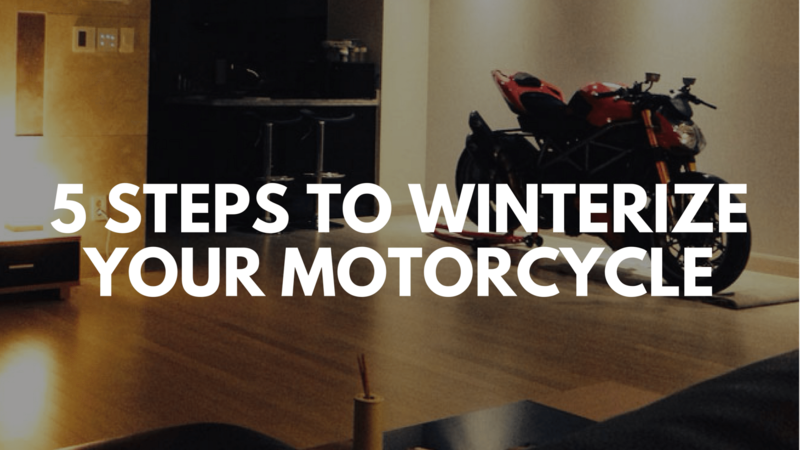 Here are the five things you need to do before you store your bike for the winter. 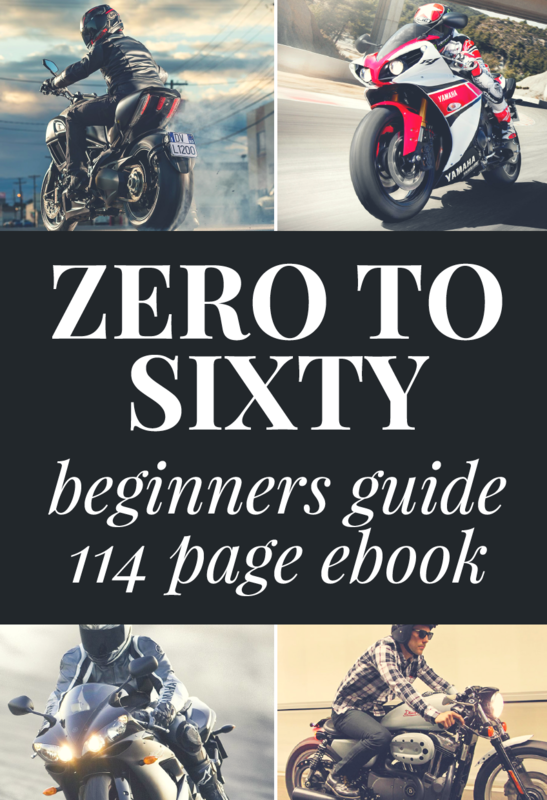 One of the most important things you need to do is stabilize the gasoline in your motorcycle. Gasoline has a shelf life and will eventually degrade. That’s why it’s sometimes impossible to start your lawn mower in the summer if you’ve let gas sit in it all winter long! The same thing can happen for your motorcycle. The easiest thing to do is to drive down to your local auto parts shop (or even walmart) and grab some Sta-Bil fuel additive. I’d recommend Sta-Bil 360 Performance. 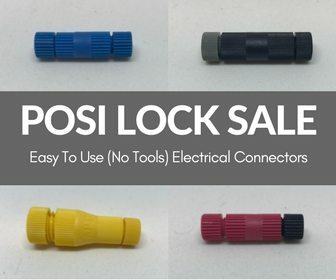 It’s a dollar more than the regular stuff, and it claims to protect more thoroughly against corrosion. Once you get your Sta-Bil, go fill up your gas tank all the way, but make sure you leave enough room to at the Sta-Bil. 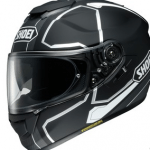 This will ensure that you motorcycle starts right up when you go to ride in the spring. The second most likely point of failure when storing a motorcycle is the battery. I recommend that you remove the battery completely and get yourself a trickle charger. When you store it inside away from the elements, you can easily hook it up to this charger. What I like about this one is it won’t over-charge your battery and damage it. It has a computer chip inside to make sure the battery gets only the electricity it needs to stay functional. That way you can install it back into the motorcycle in the spring and be ready to roll! The best thing to do is to check all fluids. If you want to be an all-star I would recommend changing your oil and filter and running the bike until it gets up to temperature before you park it. The fresh oil will coat all the internal parts and prevent them from corroding. However, I’d be lying if I said I changed my oil whenever I’ve stored my motorcycle. It’s important, but not vital. One thing that is vital is making sure your cooling systems are filled with antifreeze instead of water. If your area gets below freezing and you don’t have anti-freeze installed, the water could freeze causing different parts of your motorcycle to crack and leak. That is not a fun thing to be surprised with when the weather’s getting warmer! If you let your motorcycle sit on the side kickstand all winter you may develop some flat spots in your motorcycle tires. You should make sure your tires are not touching the ground. If you are lucky enough to have a bike with a center stand then that will work in a pinch. If not, I highly recommend you buy some front and rear stands. Once you have your motorcycle on the front and rear stands, you are in the prime spot to do some chain maintenance. Clean and lube the chain. This will prevent rust spots from forming or links from sticking together. The last thing you really should do is cover the bike in some way to protect it from the elements. You can store it in a garage, under a tarp, or even in your living room (my preferred method). All of this might seem like a lot of work, but it can all be accomplished in an hour or less. It’s really a gift to the ‘future-you’ that will be unpacking your bike and getting ready to ride in the spring.